What is The Automatic Retail Guide? 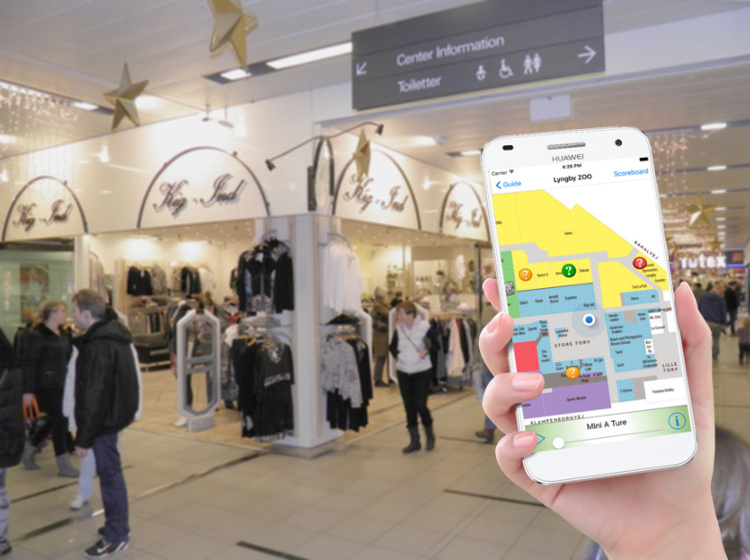 The Locatify Retail Shopping Centre App is a great tool for improving the shopping experiences, delivering value to customers and businesses. The app provides a direct digital medium for connecting with shoppers to deliver value and collect data. It can be used as an indoor treasure hunt game to gamify the shopping experience or as a guide to deliver location specific information in an innovative way. Locatify’s Retail Shopping Centre App adds measurable value, both to internal and external customers. The simple to use app works for both indoor and outdoor locations, using GPS and indoor Bluetooth Beacons to detect where visitors are located and trigger content delivery. The app shows a map of an area with points of interest (Stores, facilities, entertainment etc.) and detects where the user is located, triggering corresponding challenges or notifications when guests approach pre-set objects. The map allows shoppers to navigate the shopping center effortlessly whilst providing retail stores with a new direct medium for sending location based targeted advertisements and deals via coupons at desired times and locations. The apps administrator can easily publish their own content and update the app using the Creator CMS (discussed below). The Automatic Retail Guide can be used in any indoor and outdoor shopping location . Visitors simply install the app on their own phone and use it as a digital guide. Add visibility and brand awareness with a branded app with your graphics and content. You have complete control over the content which can be added, changed or removed in the Creator CMS at any time. Branded Automatic Retail Guide App published to Locatify Google Play and App Store accounts. “THANK YOU LOCATIFY! A BIG THANKS to the dedicated Locatify team who have been working with us at Geotrail for the last couple of months. Based on our ideas the Locatify team developed and customized the app and CMS module, that served as a virtual platform for the shopping centre event! The game concept and the technique worked as planned, and even though the weather was a bit rough, all participants seemed to enjoy the event.